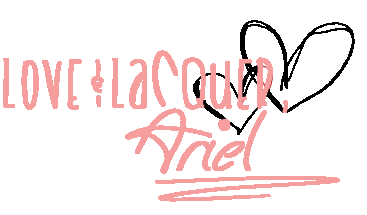 Oooooh, a rare Saturday post, Lacquerbeanz! What's the occasion? Some totally amazing holo thermal polishes from Lavish Polish! 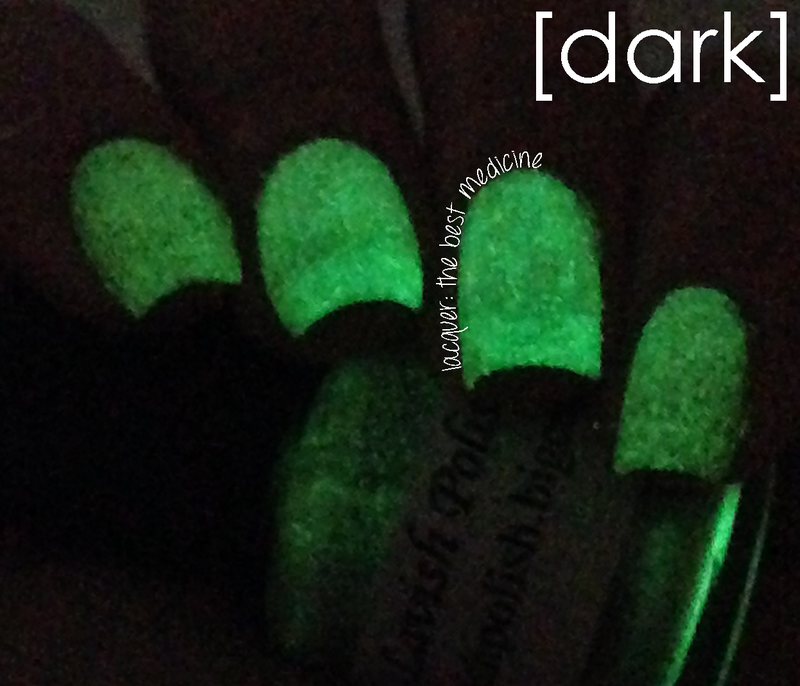 Oh... maybe I should also mention that one of them is also GLOW IN THE DARK! First up is Oh, Holo Love You (love the name! 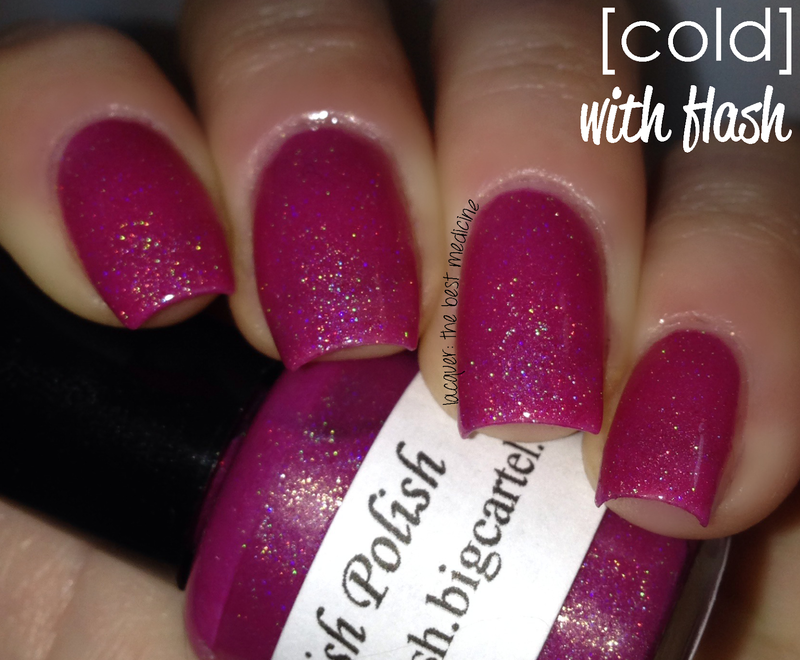 ), which is a holo thermal that is light pink when warm and magenta when cold. This one has SUPER HOLO in it - it's soooo sparkly! I used two coats of this perfectly formulated polish with topcoat. I have a whole bunch of pictures (labeled so you know which is which!) these polishes so you can really see the different colors. WHEW! Blindingly gorgeous, am I riiiight!? Next up is Caramel Blend - it's holo, it's thermal, and it's GLOW IN THE DARK! A triple whammy! 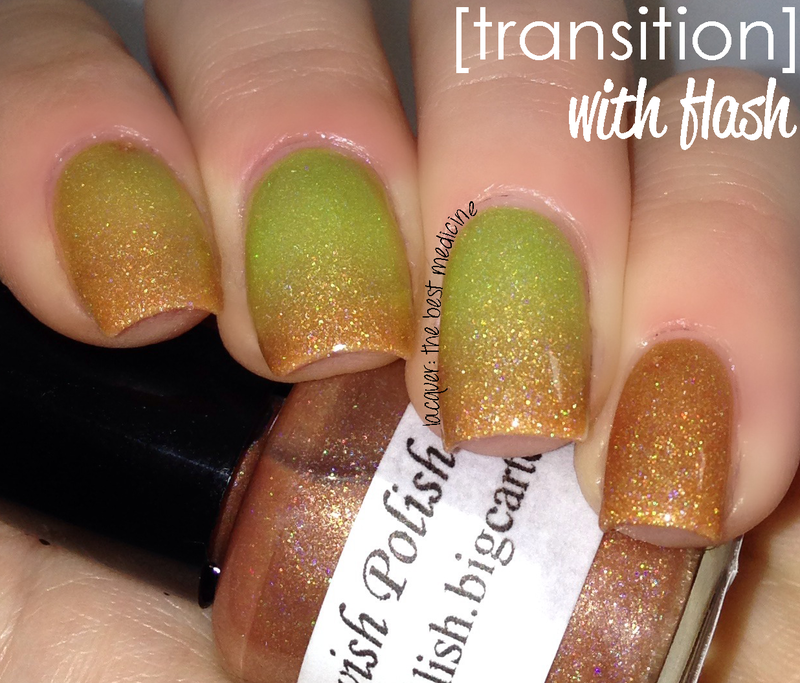 This polish is a holo thermal that is a golden caramel when cold, and yellowish-green when warm. The formula was great for this one, as well. I used two coats with topcoat for the swatches below. Check 'em out!